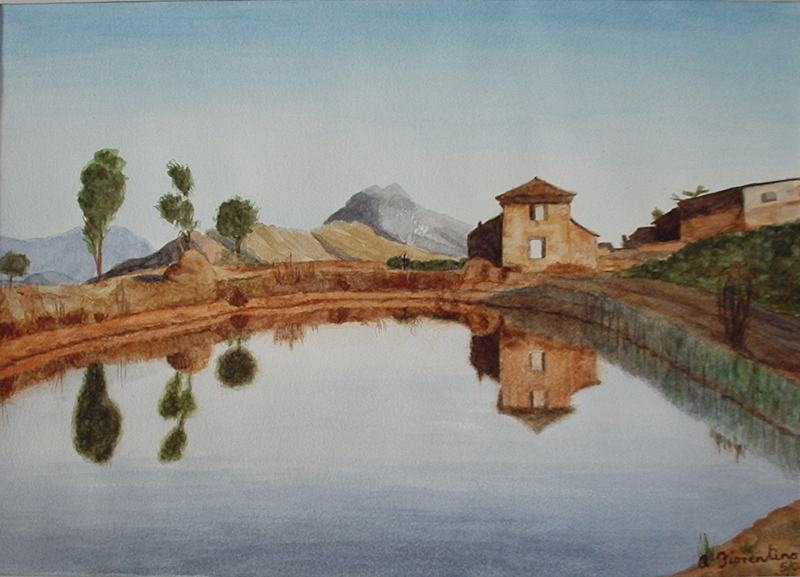 "On the Trail from Kanre", watercolor, 12" x 17". 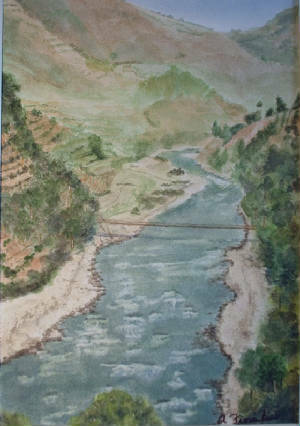 These three paintings were from photographs I took while trekking in Nepal in 1981. "Suspension Bridge", watercolor, 14" x 9.5". Our group walked over this bridge, not without trepidation. 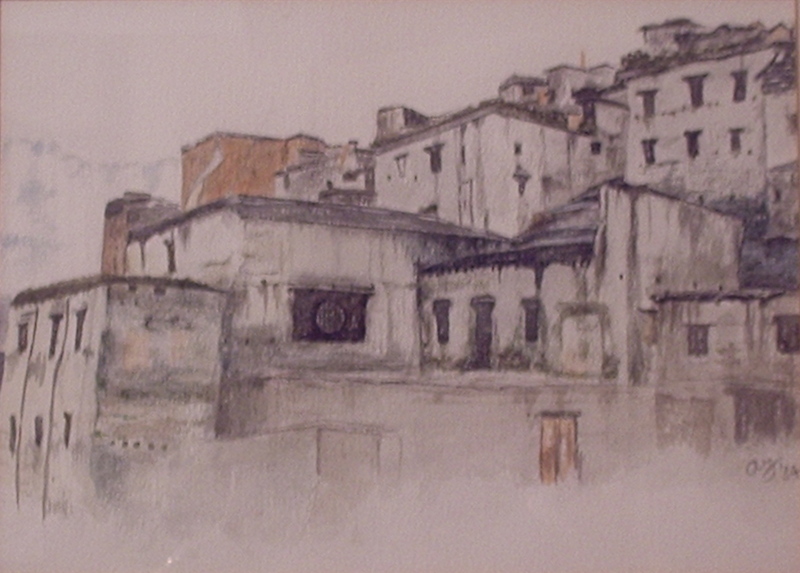 "Mountain Village, Nepal", watercolor, 8.5" x 12".